In terms of emerging technology, Blockchain has been a hot topic. Many people have opinions of it but can’t explain what it is. This blog post will simply explain what Blockchain is, how it works and how it could benefit your company. Simply, a Blockchain is “an electronic ledger – a list of transactions”. These lists could include exchanges of money, assets, instructions, contracts and more. Blockchain can track information from the original source and record every detail in real time. It has dramatically reduced the time it takes for information to get from one source to another. Miscommunication is a thing of the past when companies implement Blockchain. In other words, “Blockchain is, collectively, a way to eliminate the cost of data replication and the need for reconciliation of that information”. Blockchain technology has been around for over 10 years. Most people have heard of Blockchain through cryptocurrency and bitcoin. As it has evolved, Blockchain now covers almost every industry including insurance, government, retail, automotive, healthcare, travel, entertainment and more. The use cases go well beyond the original bitcoin use case. Today, Blockchain is being used very effectively in financial and legal transactions, supply chain management and digital identification. Tomorrow, it will be used for hundreds of other use cases. 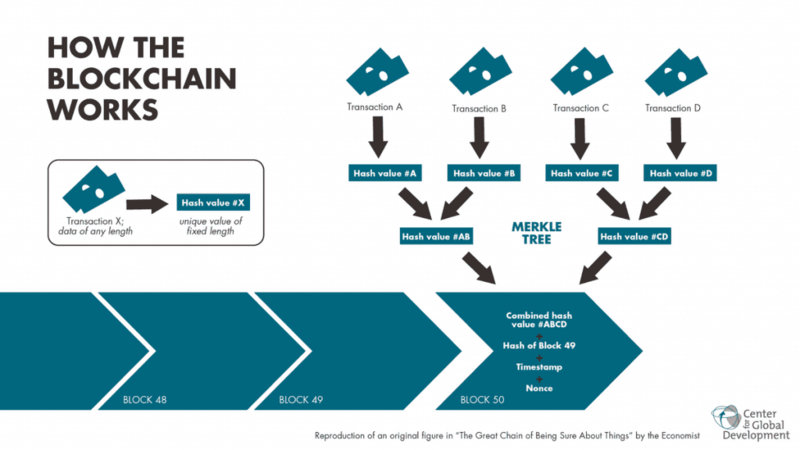 Blockchain is a decentralized digital ledger technology, meaning multiple copies of information are stored on multiple independent computers. Any updates to the ledger must be approved by the majority of these computers via the blockchain consensus protocol. All changes to the data are recorded and appended, or chained, to the previous record. If there is an attempt to add or change information without consensus, that change will be rejected by the other computers. The algorithm prevents tampering with information, mitigating interference and data loss. Every technology comes with a few challenges and Blockchain is no different. Although transparency is a benefit, privacy is a challenge. All transactions are public and this could be an issue for certain industries such as healthcare, financial and legal sectors. Blockchain doesn’t mandate encryption of the data, so the application developer needs to make provisions for this. Not only is information public, but transactions are stored forever. This can be a legal issue so the developer of applications using Blockchain technology will need to take this into account and possibly provide the ability to delete information through consensus. The cost of mining is another challenge of implementing a Blockchain. If using a public Blockchain, computer power, electricity and air conditioning can have negative financial and environmental outcomes. The amount of computing power that is needed to run a Blockchain is massive. In fact, “Bitcoin is now responsible for 0.6 percent of the world’s entire electricity usage”. Remember, bitcoin is only touching the surface of Blockchain capabilities. Blockchain technology is transparent in every transaction. All participants can view the information and monitor transactions in the group. This feature, plus the algorithm, makes it extremely difficult and expensive to hack into a Blockchain. If it did get hacked, the information in the entire block is automatically corrupted, making it useless. Security is a high priority to every business; Blockchain is helping companies protect their stored information through a secure network. As an emerging technology, Blockchain trends are already moving toward widespread implementation. All industries, and most organizations, will undergo a digital transformation if they expect to survive and thrive in the future. Technologies like Blockchain and Big Data are of huge interest to these potential customers; they are all brainstorming ways to leverage technology to significantly improve their competitive posture. Since Blockchain has been relevant for a decade, it has been used as a solution to many industry issues. The purpose of Blockchain is to track every step in any transaction through the network. This greatly reduces the need for physical paperwork, resulting in stronger communication between parties involved in the transaction. Transactions are instant and verified automatically, which reduces costs and increases efficiency. So, are you convinced your company needs Blockchain? We can help you implement it! 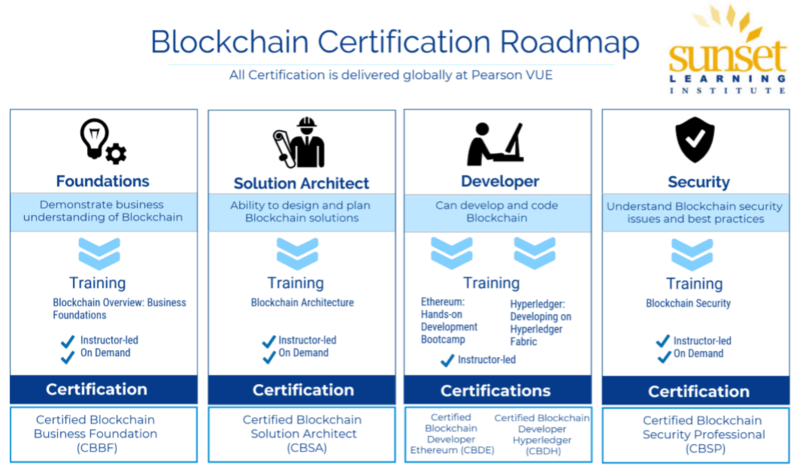 Learn more about our classes and how they can help you start a Blockchain at your company. 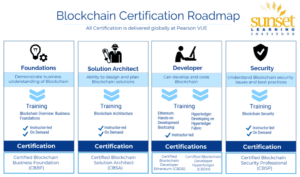 Interested in a Blockchain certification? See which one could benefit you the most!